Sports are an effective way to target and engage farmers while building brand loyalty. There are few things in the world as widely loved as sports. The National Football Foundation reports that more than 49 million people attended an NCAA football game last year, and over 111 million people watched the Super Bowl, according to Nielsen. From fanatics to casual viewers, sports capture the attention of more people than almost any other kind of event. According to a recent Successful Farming study, 62 percent of farmers actively follow college football, 60 percent follow the NFL and 43 percent follow college basketball. While mediums are often dictated by what time games are on, TV and radio lead while the Web continues to gain ground. Clearly sports can be an effective way to reach these fans. But perhaps even more important is recognizing the differences in behavior between a customer and a sports fan. A customer chooses a brand based on their current needs and your brand’s immediate ability to meet those needs. But a fan is loyal through thick and thin. A fan identifies with a team on a very emotional and personal level. They don’t switch teams from year to year. 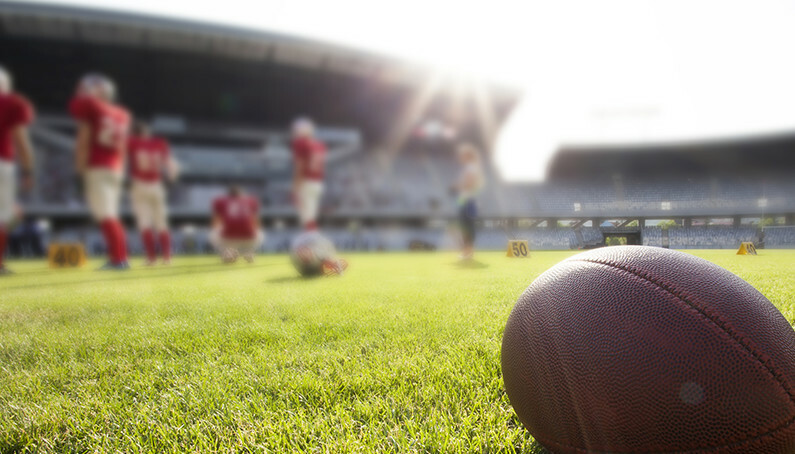 While fan passion is as old as sport itself, franchises are now using cutting-edge technology and high-profile events to capitalize on the ardor of their customer base in order to grow another revenue source – corporate sponsorships. The ultimate goal is to link that fan loyalty to a brand. Fortunately for all of us, corporate sports sponsorships tailored to reach farmers have grown significantly over the past decade. Many local NCAA teams now host dedicated ag-focused game days like Texas Tech’s annual Celebrate Cotton game or the Illini’s Salute to Agriculture Day. These offer ag marketers the perfect opportunity to associate their brands with the loyal bond that their customers have with their favorite teams. A multitude of available in-stadium signage, live in-game features, on-field stunts and web-driving promotions are tailored specifically to support the tactical objectives of ag marketers. Even college sports radio networks now craft and sell in-game features like The Ag Tech Minute to position content of value to farmers within highly engaging sports broadcasts. Multi-affiliate regional sports radio networks offer sports programming dedicated to covering the sports that surround a farmer’s community and represent their lifestyle, like the statewide Texas high school football show West Texas Friday Nite Scoreboard with over 50 affiliates carrying coverage of local Friday night football games. Or the SuperTalk Mississippi Network sports show Head to Head, which covers college and high school sports across the state, or the Nebraska Cornhuskers popular statewide commentary show called Hail Varsity, which airs on ESPN radio affiliates across the state of Nebraska. On the digital front, the rise of “smart arenas” have led to ways for brands to capitalize on mobile technology to further enhance the fan experience in stadiums. Over 70 percent of fans now bring a mobile device into the stadium and expect to use it during the game. The modern sports fan experience is by no means confined to the stadium. Nearly half of all sports fans (including farmers) follow their teams digitally, and frequently use their laptops or smartphones to search for sports-related content during a game. Sports franchises and marketers are now tapping heavily into emerging insights about the sports fans use of digital and social technology. Sports fans love to share content and engage on mobile. Sports marketers recognize how much activity occurs on these channels, and can create social media strategies encouraging fans to engage with the game and with sponsor’s brands, through freshly shared content. So if you are not already including sports in your media mix to engage the farmer audience, it’s time for you to get your head in the game.